All of the carpet cleaning professionals at Steam Choice Carpet Cleaning are trained to deliver the most outstanding service experience! We use Steam Cleaning AKA Hot Water Extraction as our preferred method of cleaning because it is the most thorough cleaning process available, as well as being recommended by most major carpet manufacturers. It is also safe for children, pets and people with chemical sensitivities. We recommend at least twice a year carpet cleaning for health, due to the problems associated with indoor air pollution. People with allergies and respiratory ailments are directly helped by carpet cleaning; which removes allergens, contaminants and other pollutants. Antique, Oriental and Persian rugs are beautiful and expensive handmade heirlooms. At Steam Choice Carpet Cleaning, our qualified technicians will give them the proper care and attention they deserve. Most specialty antique rugs are handmade with natural fibers and dyes, and therefore require special handling and cleaning techniques that we are well versed in. Steam Choice Carpet Cleaning also expertly clean all of your other wool and area rugs. We understand you have made an investment in your rugs, and will help keeping your rugs looking beautiful. We recommend having your rugs professionally cleaned every 6 – 12 months to remove stains, allergens and odors to keep them looking and smelling good. Like carpet, ceramic and porcelain tile floors also need professional attention. If you have your tile and grout cleaned on a regular basis, your tile floors will maintain their beauty for a much longer time and your grout lines will be free of bacteria, mold and discoloration. A professional tile cleaner like Steam Choice Carpet Cleaning can get out most stains; leaving your tile and grout looking almost new. After the grout is cleaned, we can apply a quality sealer to prevent future stains. Whether your floors are tile, stone, marble or granite; using the proper products and equipment is vital to getting your floors clean and preventing future damage. You can count on Steam Choice Carpet Cleaning to be the tile and grout cleaning company for all of your tile floor care needs; including tile cleaning, polishing and sealing. Steam Choice Carpet Cleaning offers the ultimate in upholstery cleaning and protection. Children, pets and regular wear and tear requires professional upholstery cleaning every 6 – 12 months to keep your sofas and couches looking and smelling fresh. We can clean most any fabrics, including delicate and hard to clean fabrics. We will begin by assessing your furniture to determine the most effective products and methods for cleaning that will not damage the upholstery. We spot test in an inconspicuous place and then thoroughly clean your upholstery to remove odors, stains, pet hairs and the allergens, dirt and dander that are ground down deep in your upholstery fibers. Steam Choice Carpet Cleaning also professionally cleans mattresses! Just think about how much time you spend laying on your mattress! Like any other surface you use and come into contact with on a daily basis; mattresses should be cleaned. You may not be able to see dust mites and they live and breed in your mattress, feeding on the skin cells that you shed every night. The waste products dust mites leave behind can cause allergic reactions and flu like symptoms. Unfortunately, you can’t remove dust mites by simply vacuuming. 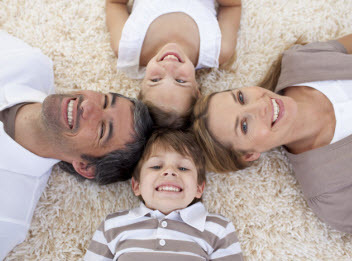 Dust mites have to be destroyed, and Steam Choice Carpet Cleaning are up to the task. We can destroy and remove dust mites and allergens. 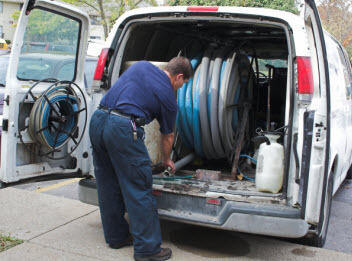 From house floods, leaky pipes to roof leaks, Steam Choice Carpet Cleaning are here to help. When it comes to water damage, time is not on your side. If you want to save your home from water damage, waiting is simply not an option. It can also be dangerously unhealthy to have standing water sitting in your home for a prolonged period of time. Our emergency water extraction and drying services are available 24 hours. As soon as the flooding or water damage starts, give us a call right away. The quicker you call us for water removal services, the less flood damage you will have in your home!